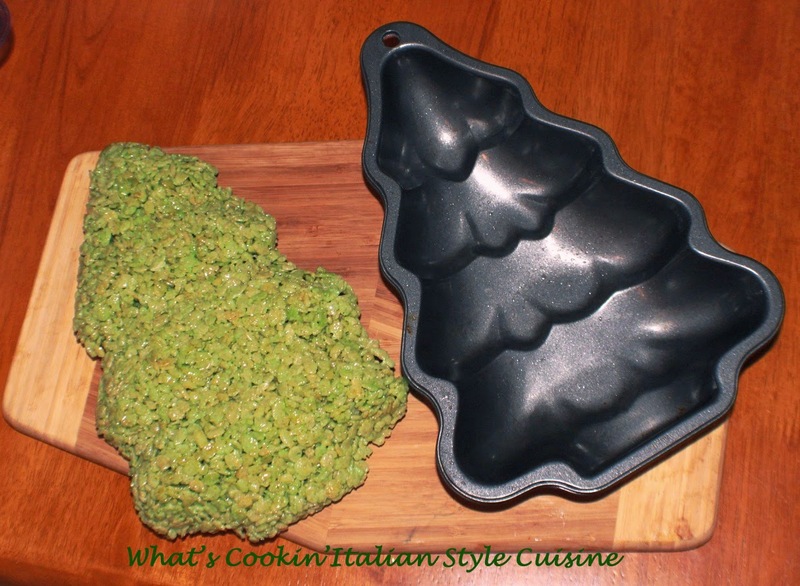 Every year I try something new and creative with my Christmas Tree Pan here are just a few suggestions this year I used it for my Krispie treats tinted with green food coloring, always a favorite at any function. This pan can be purchased at any dollar store or you can find one online. You can make some very festive treats with this shaped pan. I left mine plain for a good visual but just think how festive you can dress this up. Use some color sprinkles, sugar decorations, maraschino cherries, cut out mini star cookies etc, Use some creative imagination and this is perfect for school parties, events and more! 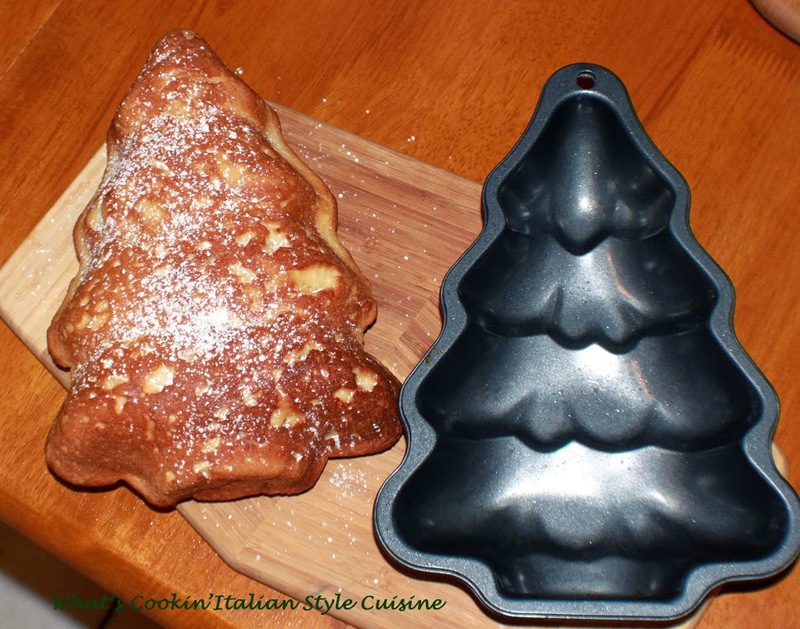 Pandoro is an Italian yeast risen cake like bread and how perfect this was to add my dough into this to form the perfect tree! If you would like the recipes for these click the links below have a great time coming up with more ideas! That zucchini bread sounds delicious and I like making it in a tree shape.